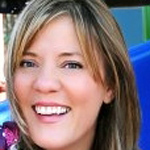 Alla founded Prairie Sunshine Yoga Studio & Wellness over 10 years ago. She has been practicing yoga for nearly 20 years and teaching for 11. Shortly after moving to the United States in 1997, Alla was introduced to yoga by her husband Tony. He was interested in Buddhist philosophy and thought the blend of physical movement and meditation would benefit her as she was adapting to her new home, while also struggling with postpartum depression after her second pregnancy. In the decade before becoming a teacher, Alla discovered the transformational power of creating a mind-body connection. Yoga instills in us an unwavering feeling of calm. Even in the most difficult situations, it teaches us to slow down and tune-in to our inner self. It teaches us how to let go of judgement towards ourselves, others, and our surroundings. Her third pregnancy was a completely different experience. Practicing yoga almost up until her due date and then shortly after, helped tremendously improve her physical and mental state. From this, she became passionate about teaching prenatal yoga (it’s why we offer prenatal classes weekly) and creating a supportive and loving community for moms to be. Alla began her journey as a yoga teacher with Joni Wahrer, completing her 200 RYT. Since then, she has apprenticed for Gabriel Halpern, a lifelong student of BKS Iyengar, and studied under Lori Gaspar, a certified yoga therapist from the International Association of Yoga Therapy. 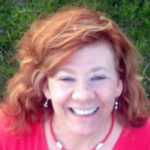 Alla also studied Relax and Renew® restorative yoga, founded by Judith Hanson Lasater. She is currently deepening her knowledge of yoga sequencing with Jason Crandell’s Art of Yoga Sequencing®. Yoga introduced Alla to the full potential of life. She surrounds herself with a loving family, wonderful friends, and animals (a LOT of animals). In addition to her two adult daughters and her teenage son, Alla is a mom to three dogs, a grandma to one dog, a mom to three cats, a grandma to one cat, and a mom to a lizard. Are you following all of this? Above everything, yoga has taught her how to let go of a “perfect life” and enjoy the beautiful chaos of a world filled with love. Michele began regularly practicing yoga while living in Hawaii in 1999 and later was able to deepen her practice in Guam for 2 years, where practicing on the beaches and among Spanish ruins is the norm. She was interested in learning more about the philosophy behind yoga and so completed her 200-RYT teacher training in 2007. She has continued her education in the many different styles of yoga by attending workshops with diverse teachers such as renowned Astanga practitioner Beryl Bender Birch and Yogic Arts founder Duncan Wong. Michele loves introducing yoga to students new to the discipline, and also loves guiding the practice of more advanced students. She appreciates how yoga brings increased strength, flexibility, presence of mind, and balance to life on and off the mat. Her favorite classes have a bit of challenge and fun because many students can best remain in the present moment when working their physical body in a new way. She looks forward to seeing you on the mat! Colette took her first Hatha Yoga class with her mom in high school and while she was interested in the Practice from the beginning, it was not until she discovered Vinyasa Flow Yoga in 2008 that she truly found her passion. As Colette explored the linking of movement with breath, she uncovered a stillness and peace within herself that continues to inspire her every time she rolls out her mat. Colette completed her 200 hour Yoga Teacher Certification with Wendy Dahl of Blue Sun Yoga, in addition to various workshops concentrating on teaching Yoga to Children. She is also a 200-hour RYT. 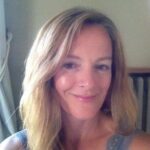 While Colette teaches adults and children of all levels, she has a special interest in introducing the Beautiful Practice of Yoga to Beginners. Yoga is the calming of the turnings of the mind. One of the first teachings of yoga that resonated with Sarah when she discovered her practice in 2002 and lead her to become a certified yoga teacher in 2012. 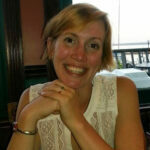 After 8 years of practice, Sarahtrained for two years with Sondra O’Donnell in Ann Arbor MI to achieve her RYT 200. Sarah welcomes breath, the spirit of community, movement, freedom and acceptance into every class. 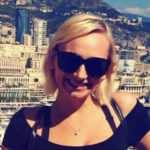 She has found the benefits of yoga spread well beyond the mat into her hectic life as a research scientist and wants to share the mental and physical benefits of yoga with her students.Sarah has taught restorative yoga for better backs, yoga for anxiety and depression, spirited vinyasa, and kripalu style yoga classes. Nancy is a licensed massage therapist. In 2009, she took her very first yoga class at Prairie Sunshine and quickly recognized the benefits that it could bring to both herself and her clients. She attended teacher training in 2010 and is a 200 hour registered yoga instructor, incorporating yoga into her massage therapy practice. 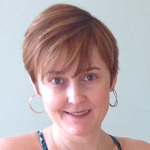 Since 1993, Nancy has been certified in pregnancy massage and is now teaching prenatal yoga to offer women the opportunity to continue yoga during their pregnancy, manage the changes occurring in their bodies, and prepare for child birth. I found yoga after a doctor had recommended I try it during a difficult time in my life. After my very first class, I was hooked. I fell in love with the practice and how it made me feel physically, mentally and spiritually. It provided me with an opportunity to connect with my breath (something I hadn’t given much thought to before) and allowed a way to release the stress that I had been holding onto. The more classes I took, the more I wanted to learn. I decided to enroll in teacher training and completed my 200 hour certification through Emerald Heart school of Yoga with Mara Campbell in May of 2014. Yoga gave me the gift of learning to slow down and observe my breath and body, and I hope to share that with others on the mat. I have a passion in teaching Restorative, Gentle, Yin and Children’s yoga classes. Johanna began her yoga journey in 2012 when she stepped onto the mat for the first time. She instantly fell in love with the practice and has been practicing ever since. She earned her 200-RYT training at College of Lake County in 2018 learning under incredible yogis such as Terry Crews, Wendy Dahl and Maryann Beckman. Johanna is also a lover and teacher of dance and loves to incorporate yoga into her other classes to help her students build strength, find balance and gain wisdom about themselves, their bodies and breath. She is incredibly passionate about animals, healthy eating, meditation and smiling. 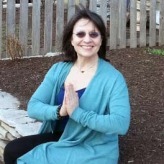 Isabel Raci is committed to healthy aging and living a yogic lifestyle. She is a 200 RYT, a CLYL (Certified Laughter Yoga Leader) and a Connected Warrior. Isabel has also studied therapeutic relaxation, trained in cancer yoga therapy, and Mindfulness Based Stress Reduction (MBSR). She is passionate about the practice of yoga and meditation as self-care.